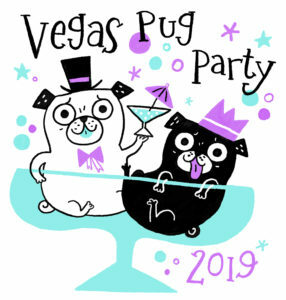 Tickets for Vegas pug party 2019 are on sale now HERE! We have a separate link for the Thursday Night Party Bus HERE! Please fill out this form so that we know who will be attending the event. We will use this form info to put together an attendee roster. You will also need to sign up for our Mail Chimp Mailing list HERE, if you have not done so already, which will be the main way we communicate with you prior to and during the event.